Tough and built to last. The simplicity of the lines and functionality are the image of this model. 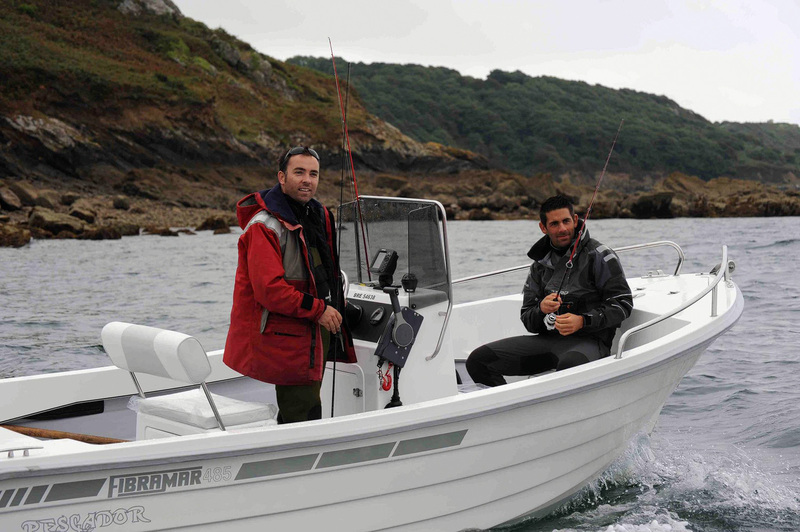 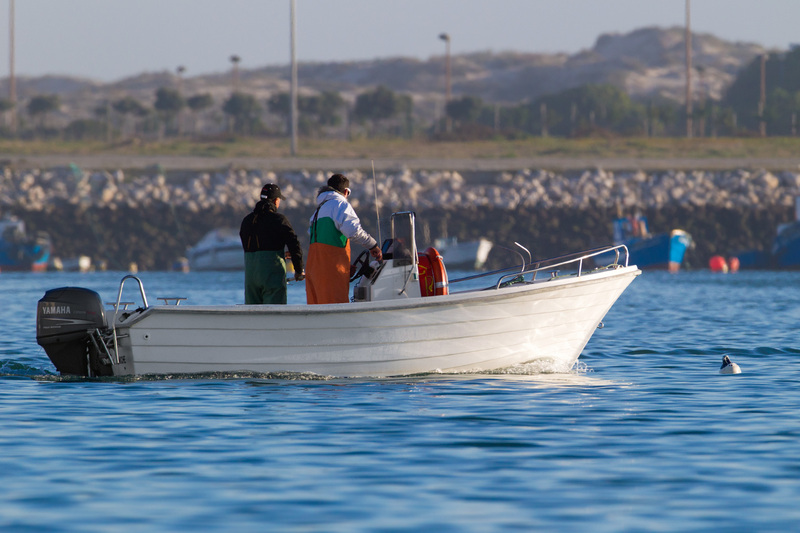 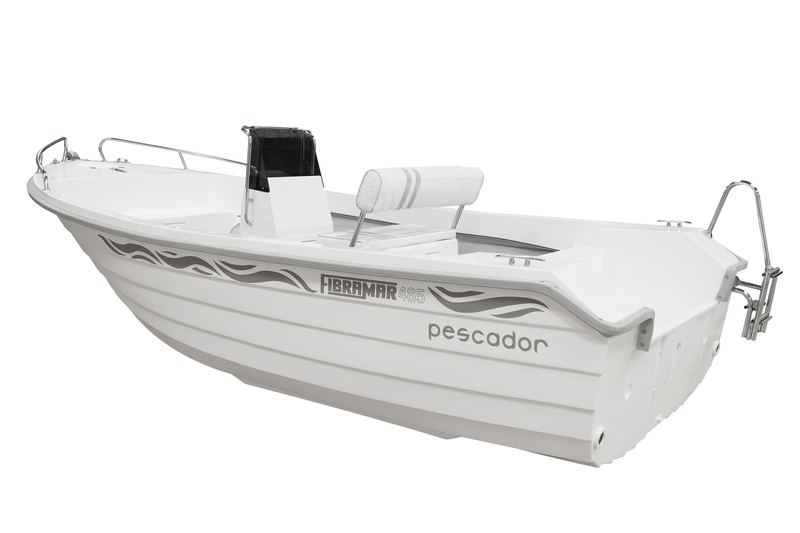 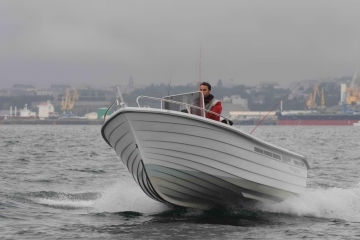 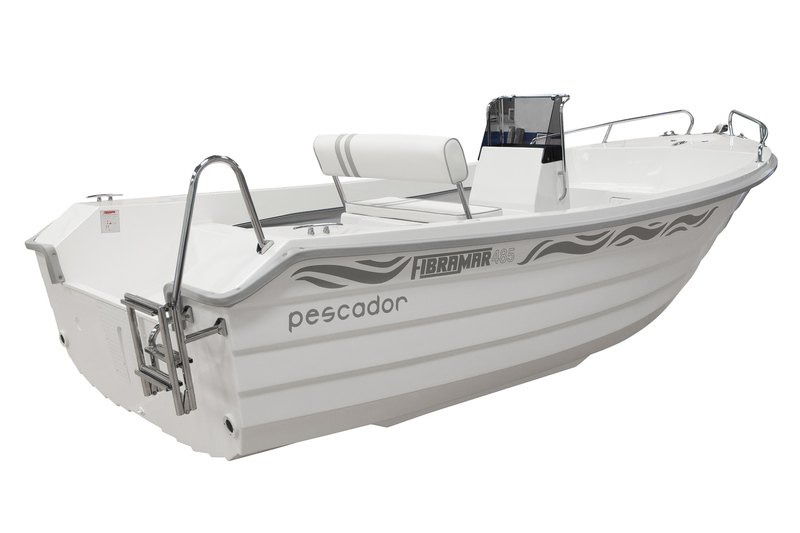 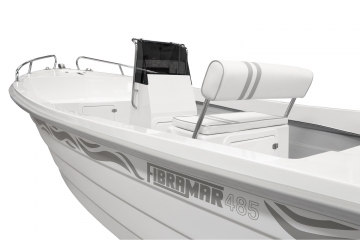 It was developed to make it self-drainable, a characteristic that did not exist in its predecessor model, the 480 Pescador. 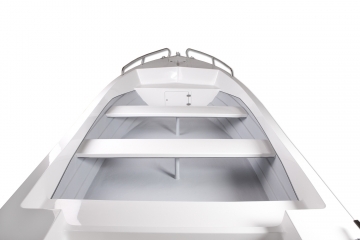 It also has a larger beam, which results in a remarkable increase of stability. 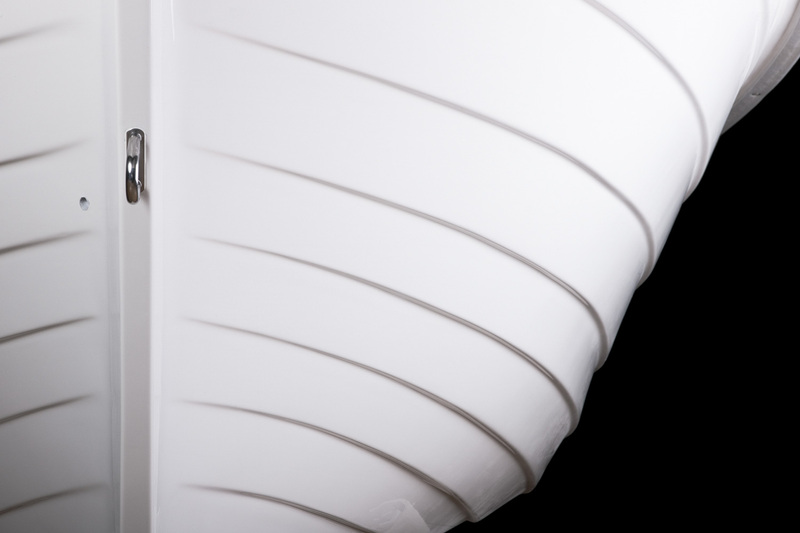 It is also possible to install an open buddy (optional, as shown). 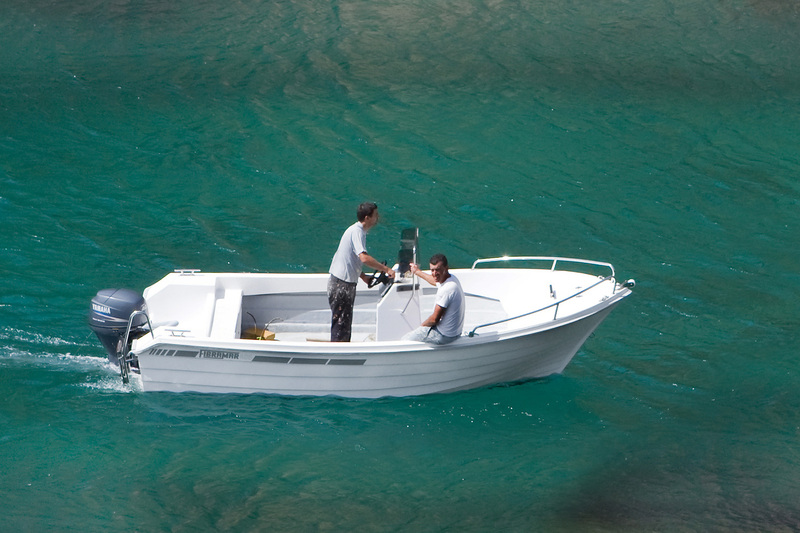 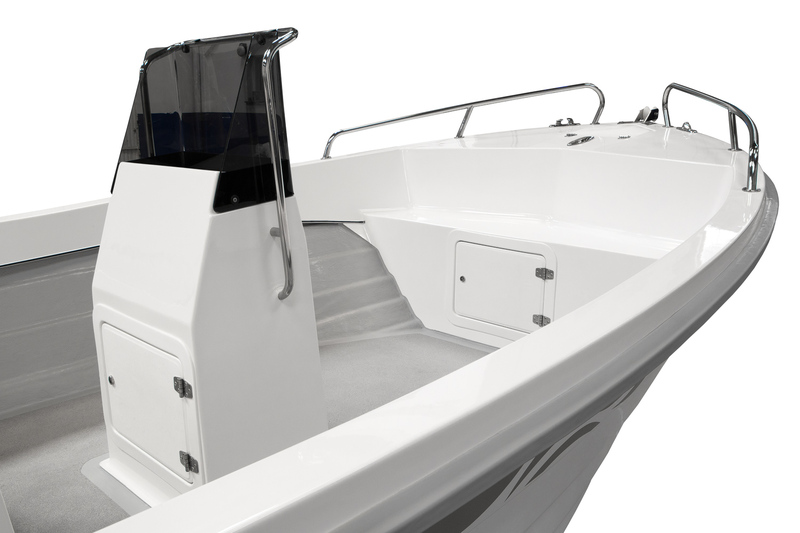 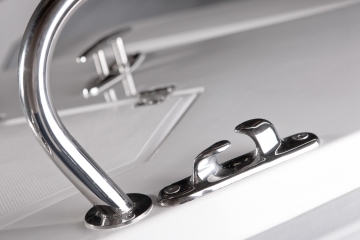 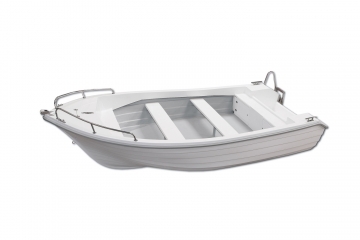 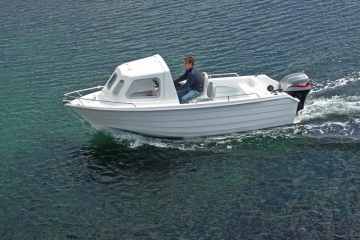 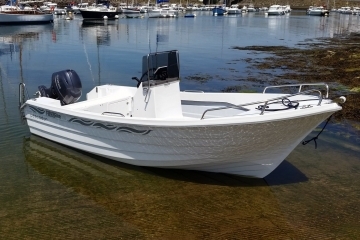 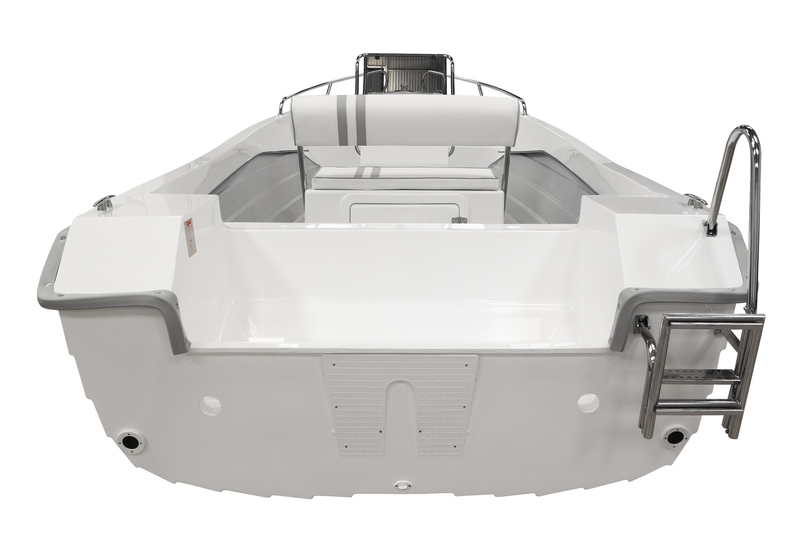 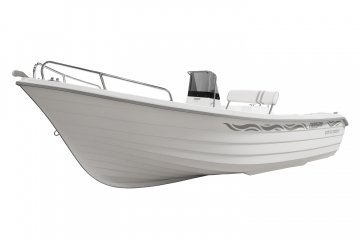 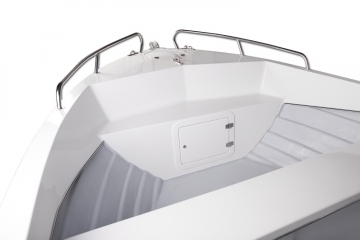 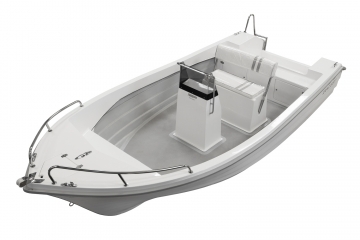 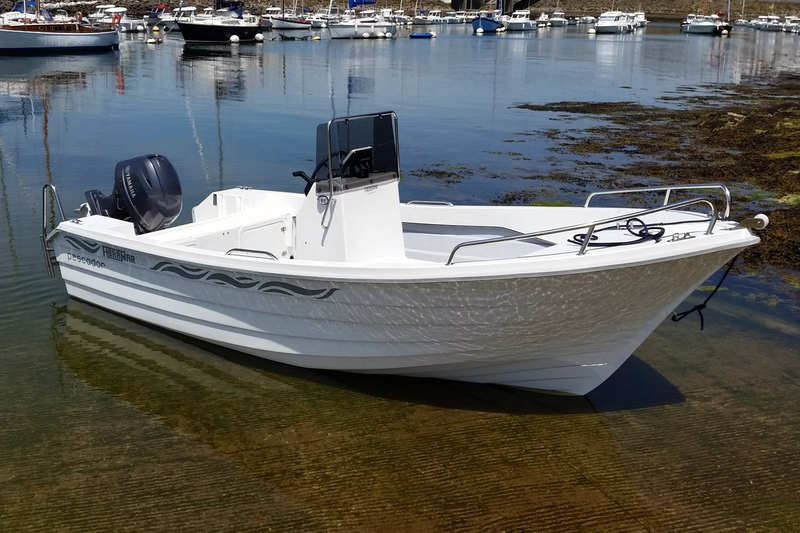 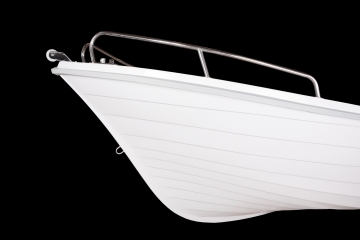 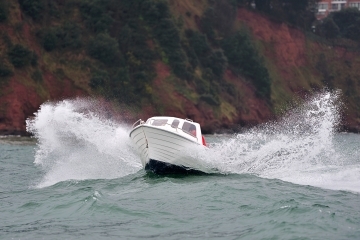 Cleats, skene bow chocks, U-bolt bow eye, bow rail, embedded benches at the stern, two transverse benches, foldable ladder, bow roller, compartments for storage at bow and stern with locks, self-draining anchor locker, self-draining deck, non-slip deck.